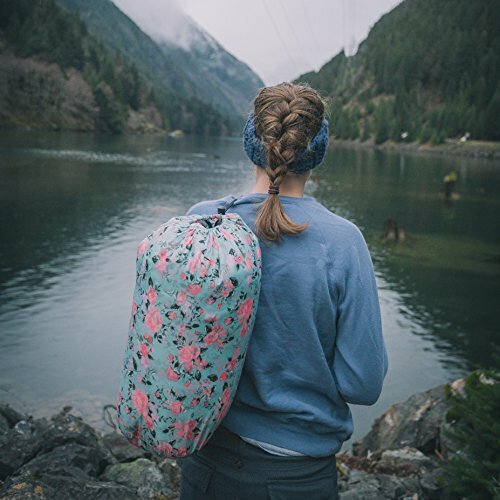 HAVE FUN; CAMP WITH STYLE AND COMFORT: This beautiful envelope shaped bag with well designed head room offers maximum comfort, warmth and freedom. 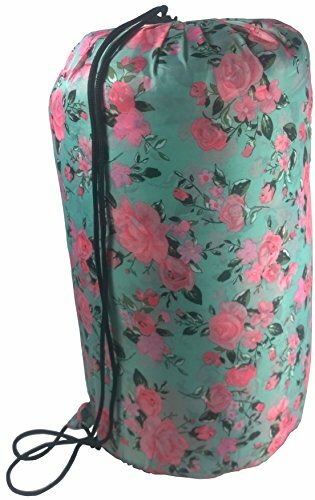 Featuring an eye-catching rose pattern design guaranteed to stand out wherever you are, this lightweight 3-season sleeping bag has a 2-way zipper and silky type of inside making getting in and out easier than ever before! 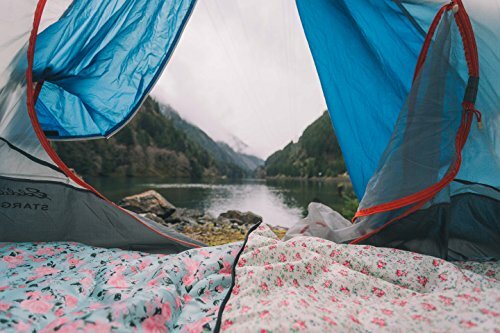 IDEAL FOR OUTDOOR & INDOOR, SLEEPOVERS AND HIKING: Sleep comfortable with temperatures above 45 F degree – 3 season, warm & cold weather (spring, summer, autumn). Unzip the bottom for extra ventilation on warmer nights. 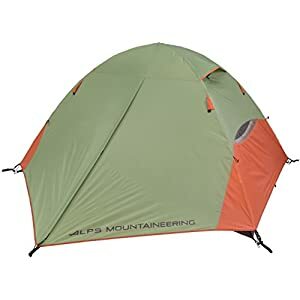 Extremely well made of quality materials, suitable for everyone from serious camping to overnight stays. 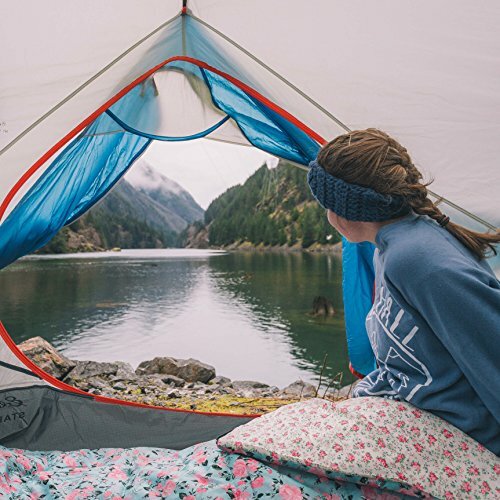 MULTIPLE USE; USE ALSO AS A BLANKET, INSIDE OUT OR ZIP TOGETHER: Doubling-up as a large, comfortable blanket when opened out, this outdoor sleeping bag is superbly multifunctional. 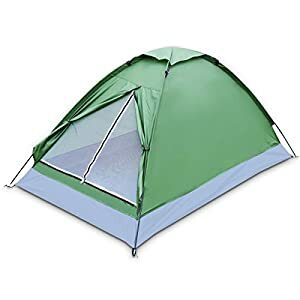 It can also be used inside out or outside in, so you can have a different look on another day camping! If you have two, you can easily zip them together to make one big one. Get many products in one! Instantly Add Unique Style to Camping – Without Compromising on Comfort or Quality! 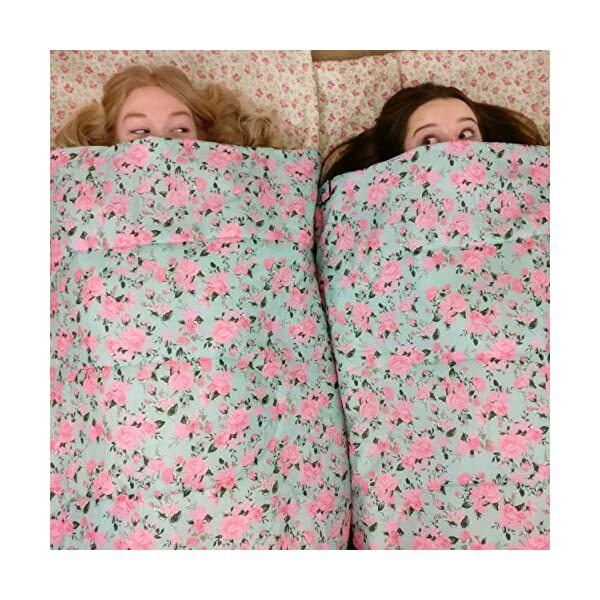 Specifically designed to provide a brand-new, stylish alternative to plain, dull sleeping bags, this waterproof Bed of Roses sleeping bag for women is the perfect option for females of all ages. 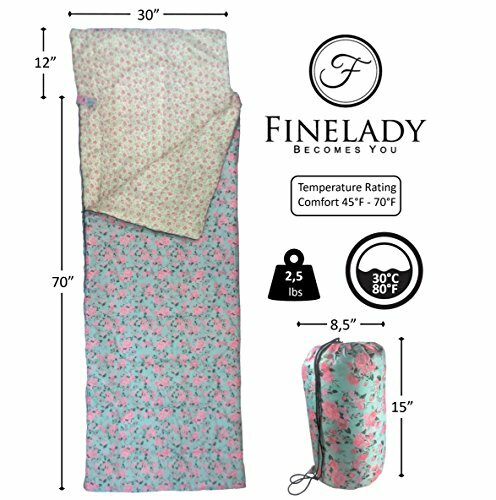 This state-of-the-art sleeping bag ensures you are going to remain warm was it then spring, summer or fall. Also featuring an impressively-useful 2-way zip, gone are the days of fumbling around in the dead of night struggling to get in and settle down for the night. Inner material along with being cool and dirt resistant is a little bit of slippery on surface, making it easy to get in and out. 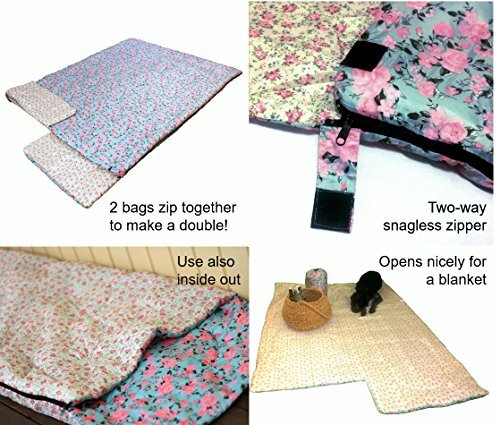 You’ll be able to also use the bag inside out or zip two bags together to make a bigger one. Sweet dreams are yours for the taking! Try this innovative sleeping bag today, completely risk-free! 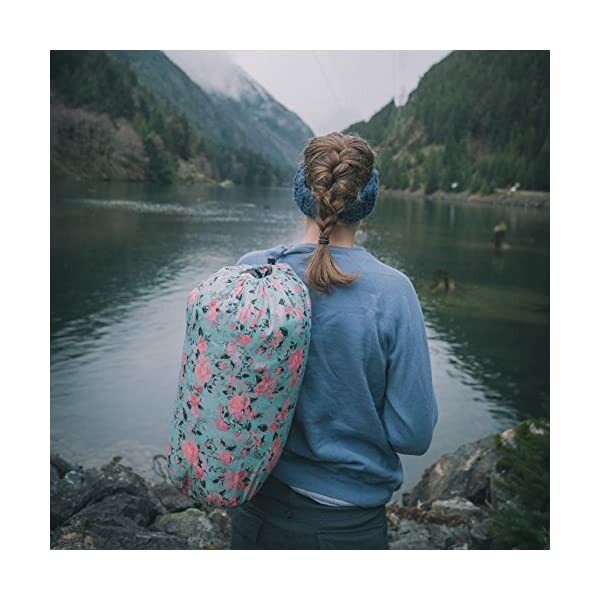 If you happen to receive a product that’s been damaged in transit, we’ll happily send another straight away at no extra cost – guaranteeing premium quality and service so you achieve the full potential of this sleeping bag. 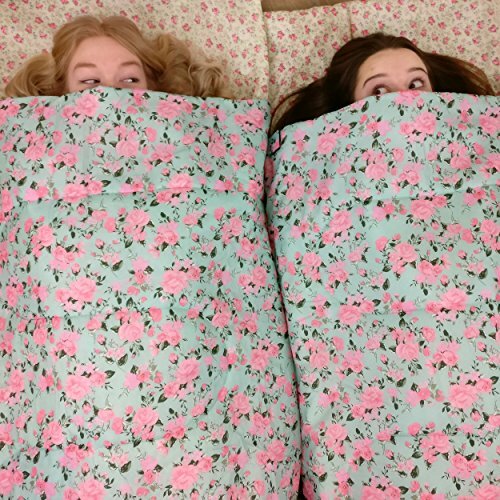 Say Goodbye to Plain, Uncomfortable Sleeping Bags Without end – Order Your Bed of Roses Sleeping Bag for Women Today! 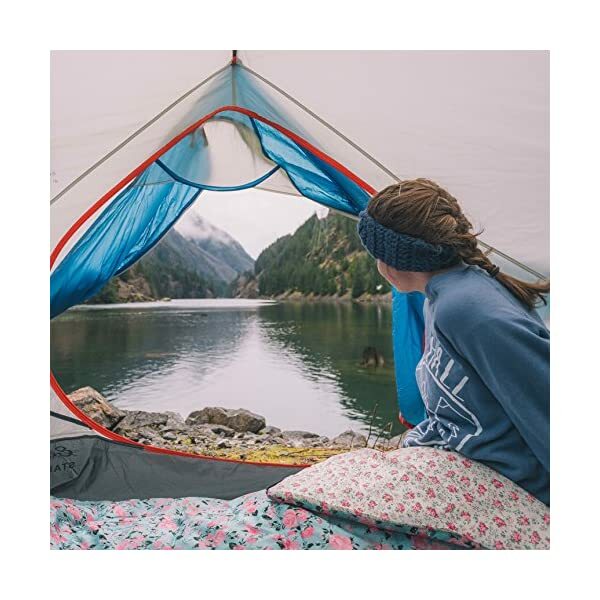 MULTIPLE USE; USE ALSO AS A BLANKET, INSIDE OUT OR ZIP TOGETHER: Doubling-up as a large, comfortable blanket when opened out, this outdoor sleeping bag is superbly multifunctional. 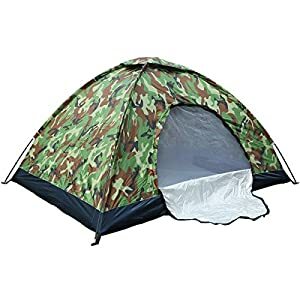 It can also be used inside out or outside in, so You’ll be able to have a different look on another day camping! You probably have two, You’ll be able to easily zip them together to make one big one. Get many products in one! 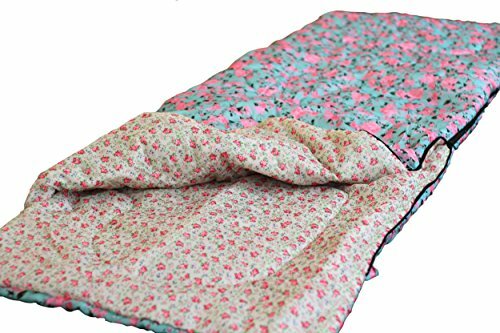 BEAUTIFUL BAG FOR BEAUTIFUL GIRLS AND WOMEN, SUITABLE FOR MANY OCCATIONS: Bed of Roses sleeping bag is very well made and suitable both for serious camping and also ideal for various other events like music festivals (going to Coachella? ), evening hikes and outdoor slumber parties. Also, struggling to sleep in the camper from feeling too cold will be a thing of the past! 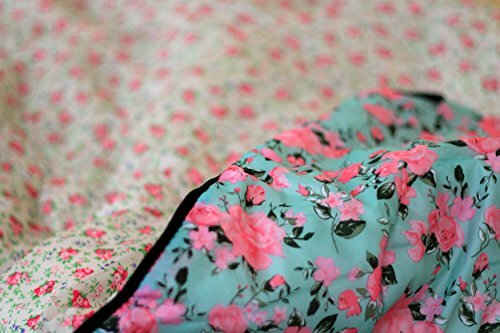 ADULT SIZE: With 30 x 70 (+12) inch / 75 x 180 (+30) cm dimensions, it’s perfect for persons up to 6 ft. 3 in. In the unlikely event you receive a damaged product, we’ll happily send a replacement free of charge. No strings attached. Limited number available, ORDER YOURS TODAY!